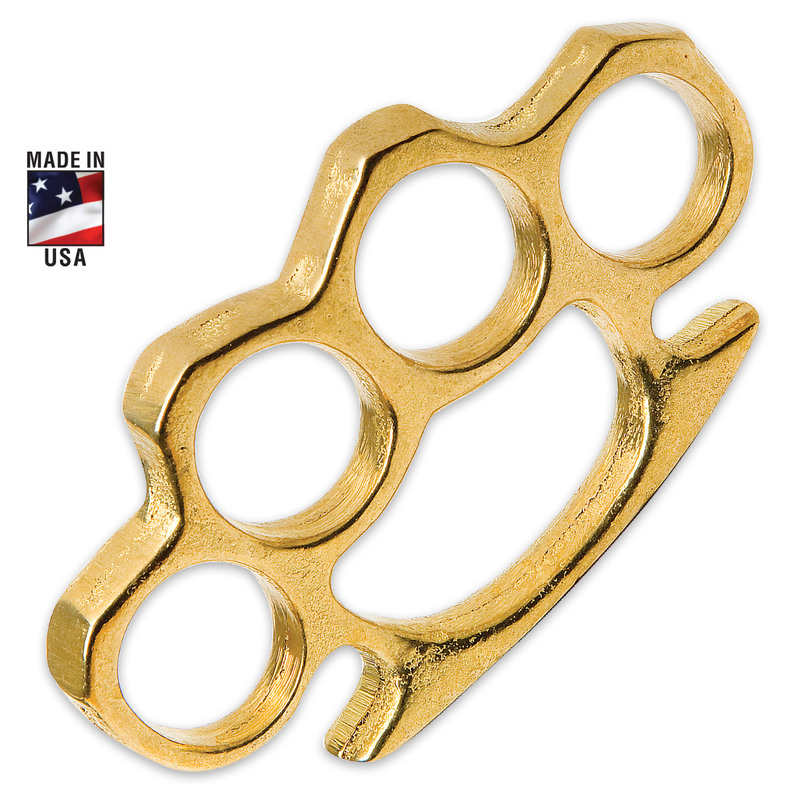 Knock out your paperwork and let your office know you mean business with this brass-plated knockout knuckle guard paperweight. It has the look of brass knuckles with tons of paperweight potential, weighing nearly half a pound. Exactly what I needed for a novelty project I'm starting.. Not a cheaply made POS.. Perfect Paperweight for the cost!! I like it so much I am going to buy another one. 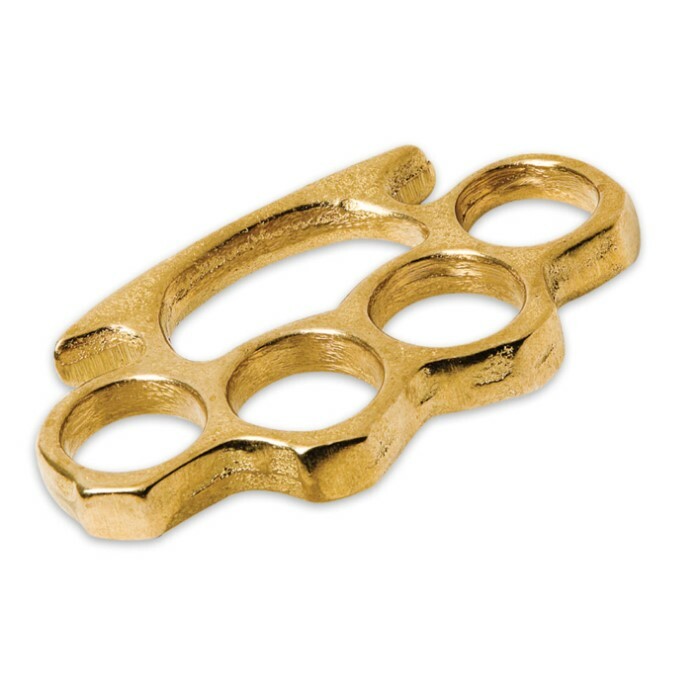 These are good quality brass knuckles! Am very pleased with this product and definitely recommend them to anyone! Nice weight to it. Probably not for those with pretty large hands. Good quality product! Solid and well build. My only complaint is the finger holes are a little small and it is a little uncomfortable to hold. Other than that should do nicely and keeping the wind from blowing my paperwork away. I was skeptical on buying these, just like some of the other buyers. But, I’m happy with these. Very nice weight and will take care of biz. My ring size is between 11 - 12. Fingers fit very tight . Finger holes approximately 1" diameter, width is 4.3". Nice weight to it, should work well on paper.